THE WAY TO GAME THE WALK OF SHAME is about Taylor, a perfectionist overachiever whom everyone dubs as ‘The Ice Queen’, who spends her whole life studying and trying her best to get into Columbia to be a lawyer like her dad. But after getting drunk and waking up in bed next to notorious womanizing surfer boy, Evan McKinley, her reputation gets flushed down the toilet as she’s bombarded with taunts and spite. Desperate to make things right again, Taylor convinces Evan to pretend they’re in a serious romantic relationship. I’ve always been a fan of romantic comedies and Asian dramas. Especially Korean dramas. The drama, the laughter, the swoony bits. I love them all. One day as I was watching a kdrama, the idea of two completely opposite characters who were forced to pretend to be in a relationship just popped in my head. And from there, Evan and Taylor were born. I can’t take credit for the cover at all as I had NO idea how I wanted the cover to look. That was all the work of the brilliant people at Swoon Reads. In fact, the cover designers made five cover concepts and the winning cover was chosen in a vote by the public. This is definitely up my alley as one of the first things I do with every story is work on character bios. Usually this includes a brief history of each character along with personality characteristics, relationships, and character photos. It’s one of my favorite part of plotting. Sometimes I never even finish a novel, but I have their bios all set out. This is a stand alone novel, but the characters in THE WAY TO GAME THE WALK OF SHAME will definitely make cameo appearances in future books. I’m not sure exactly why I chose Wilmington, North Carolina. I knew it needed to be close to beaches, but not exactly a beach town. But it also needed to get cold sometimes. I just did some research and the pictures of Wilmington just stuck out to me. I’ve never actually been there, but I would love to visit someday. Especially now! I’ve always loved romance in general, but I’m a huge sucker for young love. Where something as simple as handholding could cause everyone to swoon. When things are so simple yet so complicated all at the same time. I think it was my love for books. Growing up, I was always known as a bookworm. I spent recesses helping out in the library. Partly because of the air conditioning. New Orleans weather can be very brutal sometimes. But the books were a huge part of it. In high school, I tried my hand at writing fan fiction, mainly Harry Potter, and soon that grew to creating original storylines with my own characters. After I have my character bios planned out, I usually go to baby naming sites and just start skimming the names until I find something that fits. Sometimes I end up changing it later on, but I usually find something. I also tend to be drawn to simpler names. Especially for the guys. The struggle to come up with book titles is very very real. Especially for me. I usually try to come up with a working title when I’m plotting just so I would have something to call the story. Sometimes it’s something like WHATEVER IT TAKES or RIGHT PLACE, WRONG TIME. And other times its something really generic like CRUISE SHIP. Can you guess where that story takes place? Lol Like I said, I’m not very good with book titles, but I know it’s something that can (and probably will) change in the future. Name one of your all-time favorite books? One? That’s like trying to pick your favorite child. But if I had to, then I think my favorite book would be Harry Potter and the Prisoner of Azkaban. I love the entire Harry Potter series book, but the third book was the one that made me go ‘Whoa, things just got kind of real’. And the worldbuilding in there is just amazing. Plus I love the marauders. Inspiration can come from anywhere. Most of my inspiration comes from things I watch or see because I’m a very visual person. Whether it’s an idea that hits me when I’m watching a drama or a tv show or even something on YouTube. The current story I’m working on was based off of a The Voice blind audition I saw years ago. When I write at night, then I usually just cozy up in bed with my laptop. If it’s during the day, then I find it’s better to go to a coffee shop or Barnes and Nobles. The library is good, too, but only if I have earphones with me because the complete silence becomes too distracting. I actually haven’t read this graphic novel, but I loved the movie Stardust. It’s an adventure fantasy movie came out in 2007 and it has everything. Romance, sword fights, magic, witches, pirates, you name it! With a heavy dose of comedy. If you haven’t seen it, then I definitely think you should check it out. Name two of your favorite authors. J.K Rowling and Stephanie Perkins. 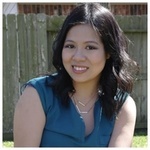 Stephanie because her books are sweet, funny real romances. And they never fail to bring a smile to my face. I can only hope that my books will be as loved as hers someday. And J.K Rowling…well, do you even need to ask? She’s J.K ROWLING. Enough said. I love to eat. Especially trying new things. Once I was on a cruise and saw that they had escargot on the menu. I wasn’t sure exactly what it was at the time and started to ask the waiter, but before he could answer, I told him “Never mind and just bring me two dishes of it”. I don’t remember how it tasted now, but I don’t think it was bad. There are so many interesting things about New Orleans and I am blanking a bit right now. I do know that New Orleans is the birthplace of voodoo and is known to be the most haunted city in the U.S. Which is why I always get new furniture and knickknacks even though there are so many cool stuff at the flea markets and antique shops. I’ll browse the stores, but that’s it. I’d rather not have a vengeful spirit come home with me in a mirror or jewelry box, thank you very much. I plan to write as much as I can for as long as I can. I don’t know if I’ll end up publishing two books or a dozen, but I do hope to make a career out of writing! It’s a dream of mine to be published and I don’t plan to stop now. I’m currently in the process of editing one story and working on the first draft of another. Getting published was on there, but I suppose that’s something I can cross off June 7th! ☺ Something else I’ve always wanted to do is that I’ve always wanted to visit South Korea. Maybe it has to do with my obsession with Korean dramas, but I definitely want to go there someday. The food is delicious, too, so that’s a huge plus! Growing up, I’ve always wanted to write even though there weren’t many Asian writers at the time. Especially writing YA romances. I certainly didn’t know any. Young adult was barely a thing when I was a kid. Being an author was something that I wanted to do, but never thought would actually happen. As I got older, I became more of a realist and tried to set my goals to something more attainable. I majored in pre-pharmacy for a while before realizing that there was a reason science was always my worse subject. I then turned to business and that was okay, but writing was never far from my mind. Finally, I decided to give it shot. It still took over eight years for me to get published, but I’m finally here! Jenn Nguyen fell in love with books in third grade and spent the rest of her school years reading through lunchtime and giving up recess to organize the school library. She has a degree in business administration from the University of New Orleans and still lives in the city with her husband. 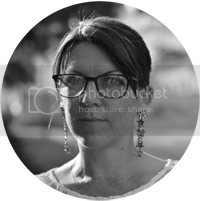 Jenn spends her days reading, dreaming up YA romances, and binge watching Korean dramas all in the name of ‘research’. 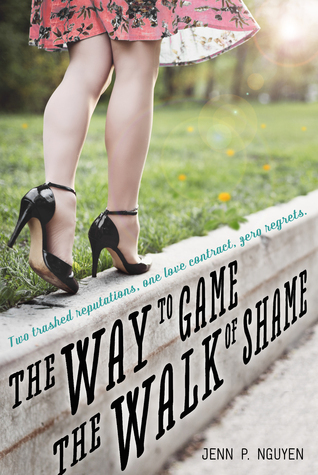 The Way to Game the Walk of Shame is her debut novel.